SINGAPORE, 14 NOVEMBER 2018: The Football Association of Singapore (FAS) will be hosting the third Under-15 International Challenge Cup (ICC) from 25 November to 1 December. 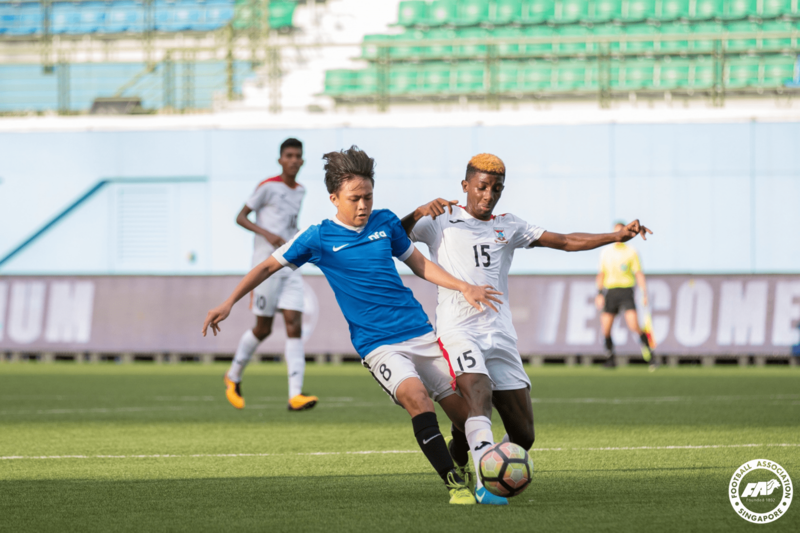 This year’s tournament will feature three local sides – Singapore Under-15 National Team, Singapore Sports School Under-15s and a FAS Centre of Excellence (COE) Selection Team. They will be joined by three foreign teams that have participated in the previous two U15 ICC tournaments – Johor Darul Ta’zim (JDT) Under-15 (Malaysia), Matsumoto Yamaga FC Under-15 (Japan) and two-time champions Promotion Fund of Vietnamese Football Talents (PVF) Under-15. The group-stage matches will be held from 25 to 29 November at the Singapore Sports School. The top two teams will then face each other in the final, which will be held at Jalan Besar Stadium on 1 December. Mr Varatha Rajan, General Manager, FAS Youth Development said: “We are looking forward to hosting the third edition of the U15 ICC. The past two tournaments have been successful in bringing together young players from different footballing cultures and were competitive and sportingly contested. I am confident that this year’s tournament will be no different.